Houston Organ Company is owned and operated by Bob Cotton, who has been in the organ installation and service industry for over 25 years. A truly local, family-operated establishment, Houston Organ is the leading dealer and installer of Allen Organs in southeast Texas. Our expertise in Allen Organs, combined with our many years working with The Reuter Organ Company on projects throughout Texas and the US, uniquely qualifies the Houston Organ team to satisfy all your pipe and electric organ needs. Whether it’s refurbishing or adding pipe ranks to your existing or digital organ, rescaling and revoicing your pipe organ, or replacing your pipe organ console with a new Allen console, Houston Organ Company has the knowledge and resources to live up to even the most exacting church’s standards. Due to our established relationship with Allen and Reuter—the two leading organ manufacturers in the US—we also have access to talented industry experts, who are on standby to assist with design and tonal finishing on our larger, more complex projects. 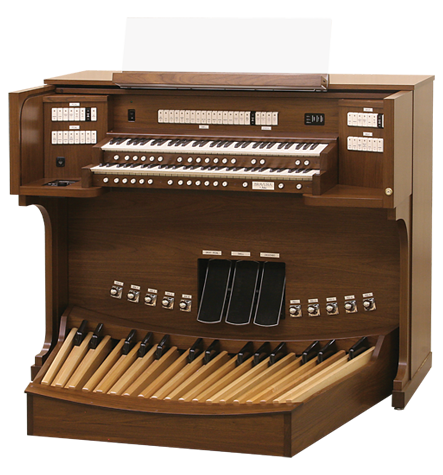 With a wide range of new and used organs and consoles in stock, and with experience installing pipe, electric, and hybrid models, Houston Organ Company has all your needs covered. Visit our showroom, or view our recent installations on our website. We’re also happy to show you our work at a similarly sized venue to your own, so you can get a sense for how one of our products might work for your space. Unlike competing brands, Allen Organs are made proudly in the USA. Every Allen organ is a work of art that’s built to last, created by skilled craftsmen using the finest materials and construction techniques. Plus, Allen builds its own electronics and components to make quality affordable and ensure long-term parts availability.